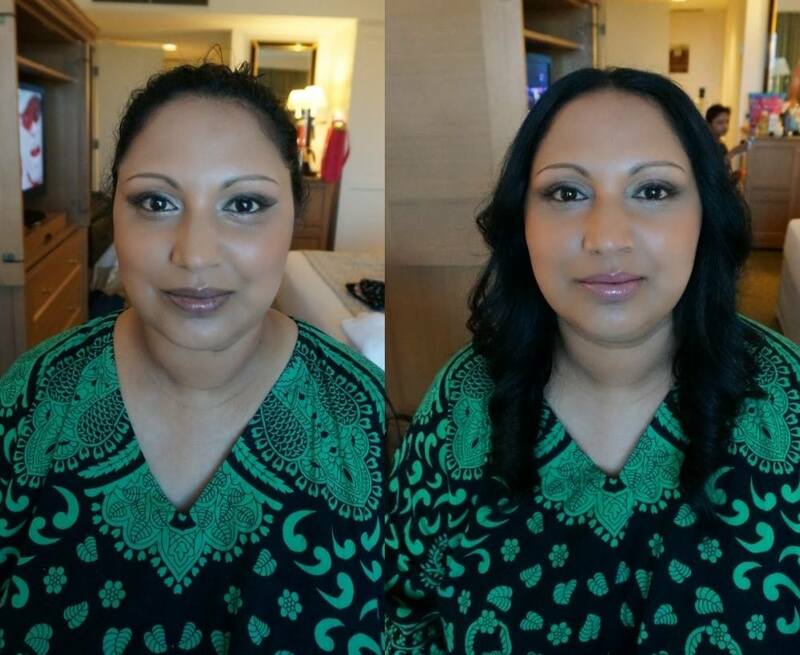 Applying soft glam makeup on an Indian bride is always one of the favorite moment of mine being a makeup artist. Over the years I have come across with many Indian brides who have requested a full glam traditional Indian bridal look, a very modern natural looking style, or, something in between, which is my favorite style for Indian faces, the soft glam look. Indians have amazing symmetrical eye shape that is ideal to showcase beautiful eye shadows and perfectly winged eyeliner. Bold false eye lashes look wonderful on Indian eyes even though they naturally have very full and curly lashes of their own. I like to use a type that is slightly longer and more curly ones which usually seamlessly blend in with their real lashes. The result? Full and glamours lashes that enhance their already beautiful eyes that speaks volume. 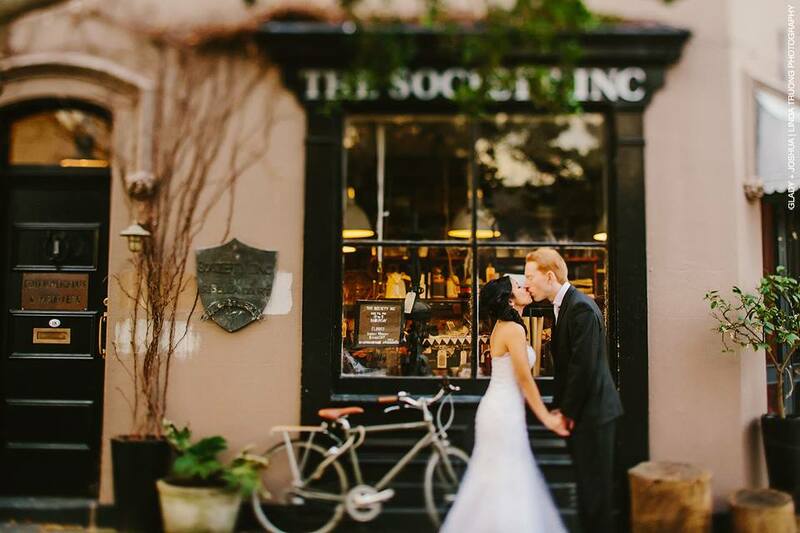 I look forward to hearing from you for your wedding or next events! Get in touch here. 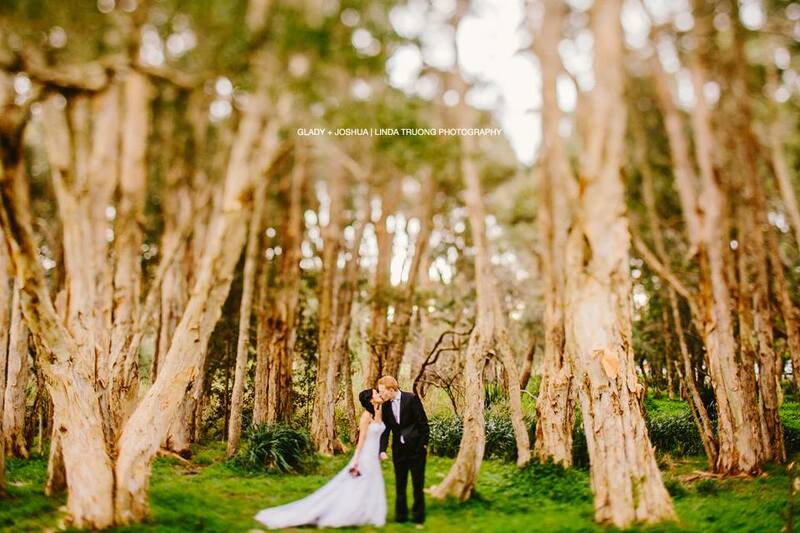 Angela and Jay’s wedding started with a perfect sunny weather. 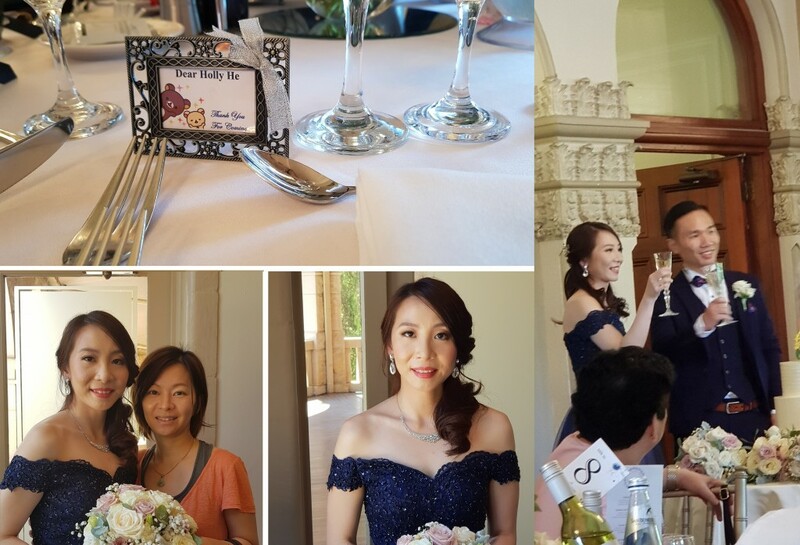 The luncheon was held in the iconic sandstone castle in Sydney’s Marsfield, Curzon Hall. It was my absolute honor to be part of their guests and witness the couple’s heart warming speech. 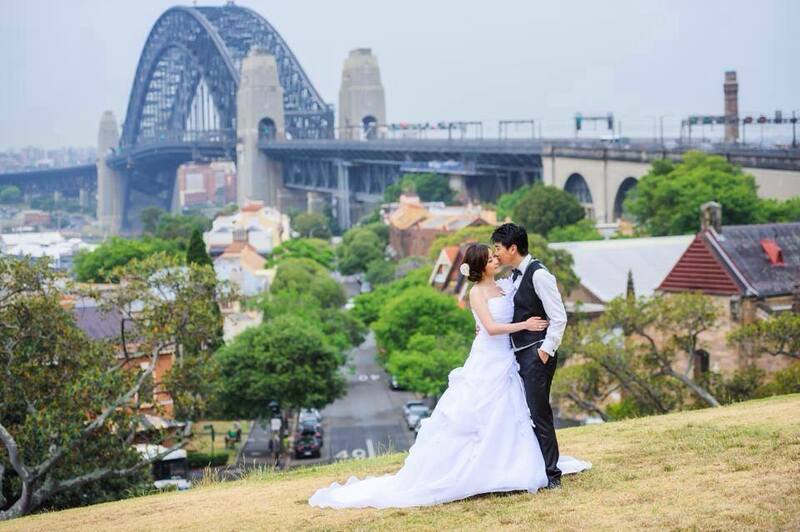 I wish you two life long marriage filled with happiness and fortune! 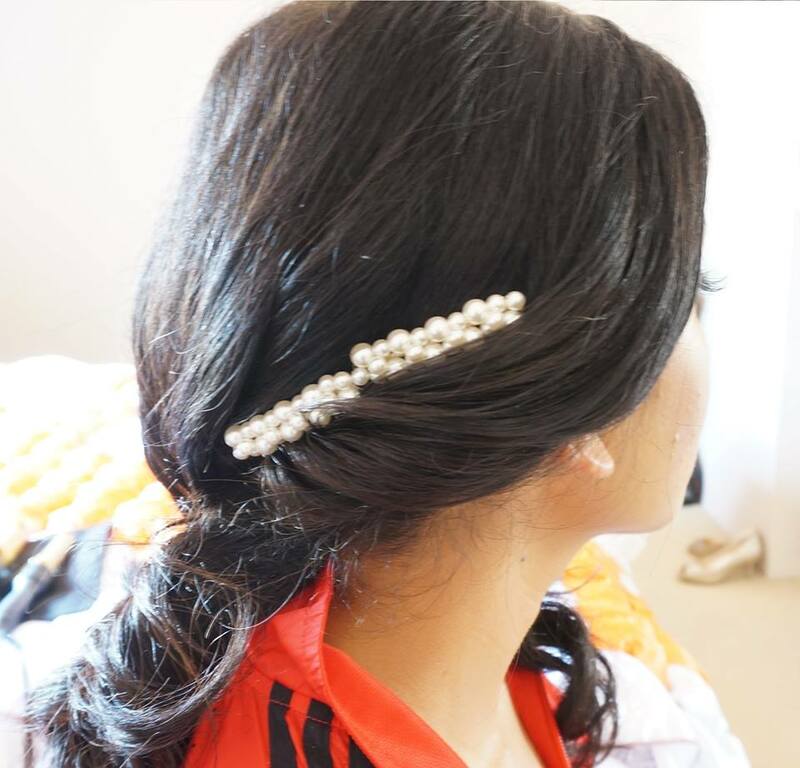 Quite often we would receive request from brides who prefer a more glamours style to their wedding. 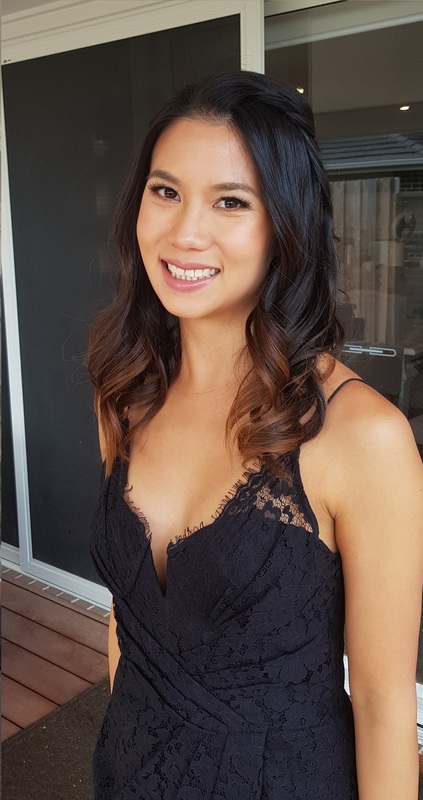 If you are after a more distinct look which look striking in photos but still looks very natural and original to yourself, I highly recommend trialing a soft glam look. If you don’t normally wear makeup up at all or just a eyeliner and BB cream type of girl, soft glam might not be the first style that comes across your mind. But you would be surprised to learn how much you might like it after stepping out of your comfort zone. 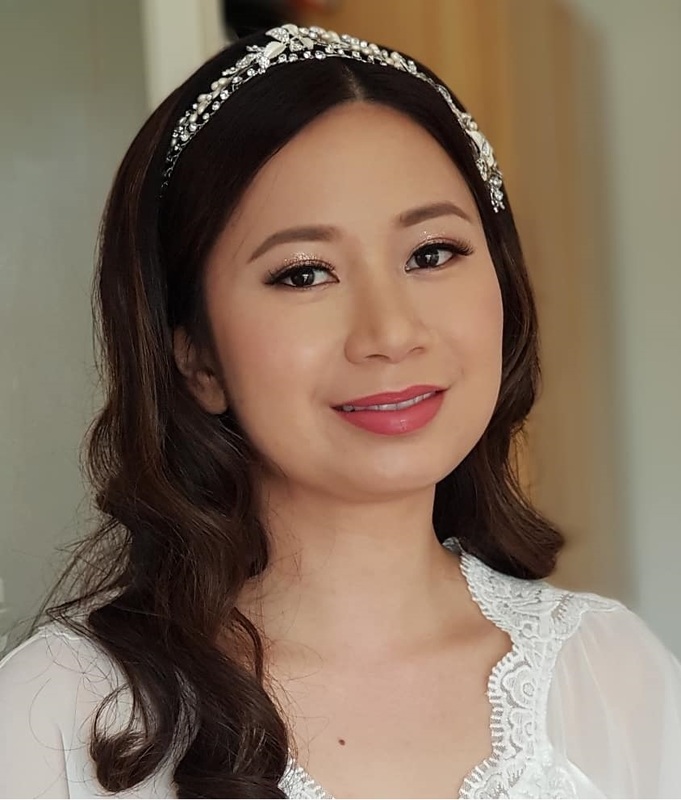 Have a look at this Cambodian bride who has the right features for a soft glam makeup. The focus is on her gorgeous eyes and of course much attention is pay on perfecting her skin making it look flawless without caking on. 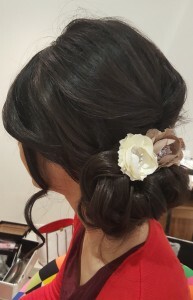 Would you consider this style in your next trial or event appointment with HH? 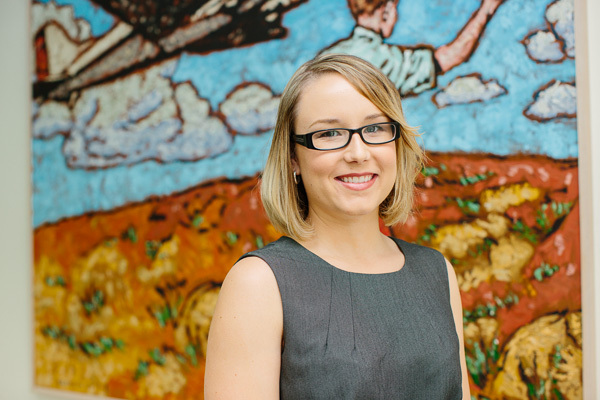 Contact Holly here. I am honored to do makeup and hair for this doll on this sunny Sunday. 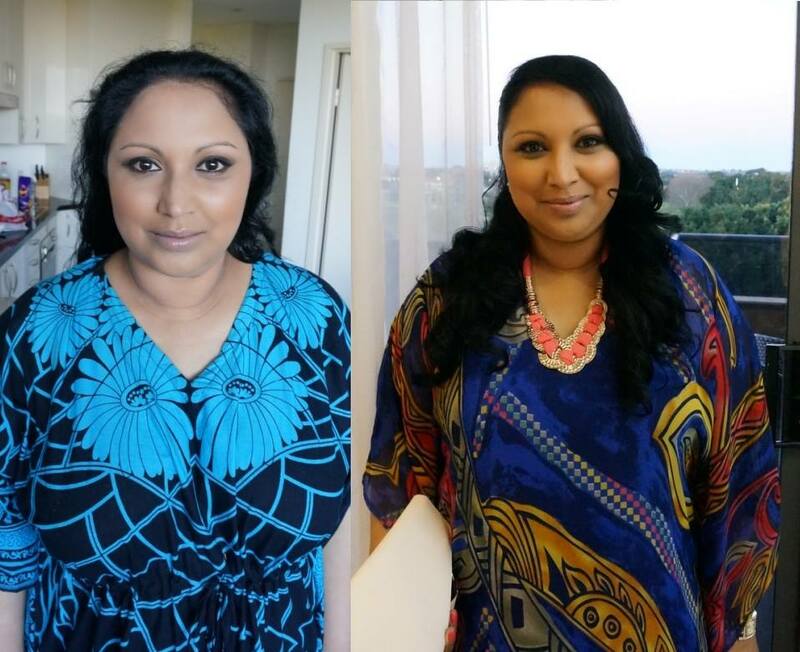 I had previous opportunities doing her makeover on 3 separate occasions. 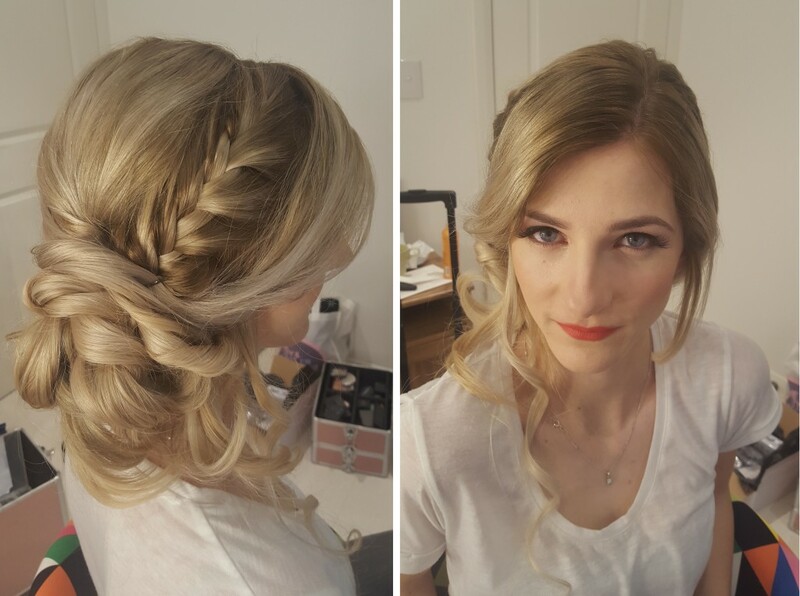 We are both very pleased to finally decided on this bridal look she has been always dreamed of for her big day. The joy of being a makeup artist! 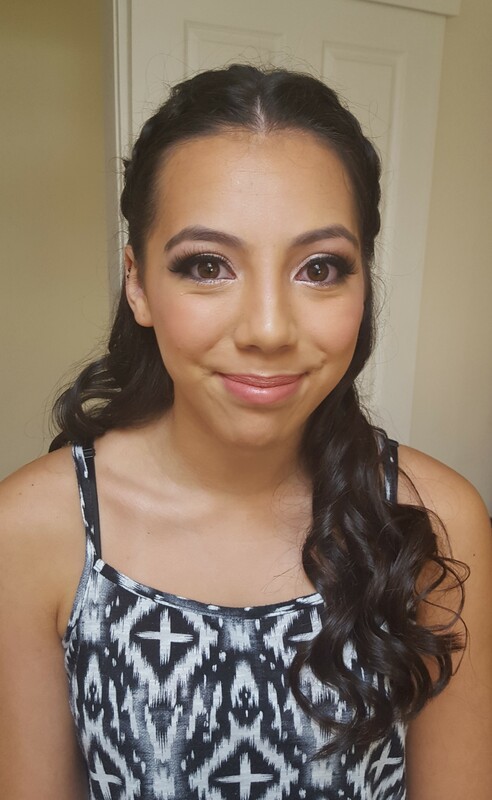 I used the Tarte shape tape Hydrating foundation on this beautiful girl for her work event. 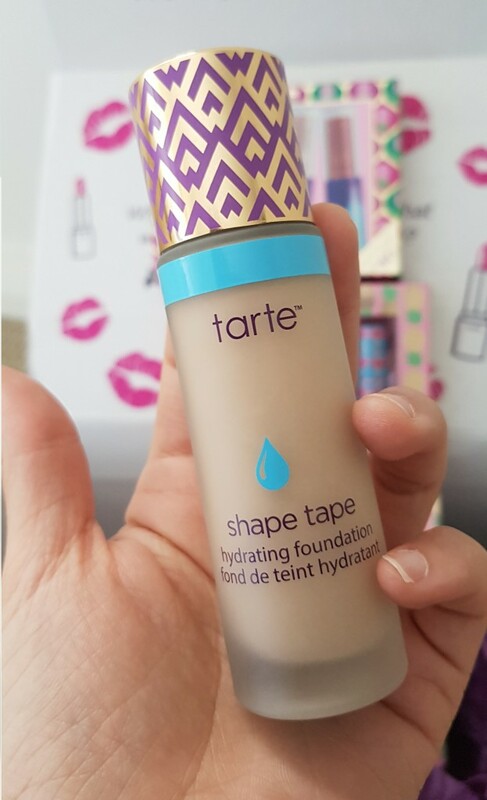 I found the foundation isn’t really that hydrating as it claims but once I mixed it with a few drops of their Maracuja oil it became a dream to work with. I only applied a sheer layer for her skin and color corrected a few reddish spot and her skin was already glowing. 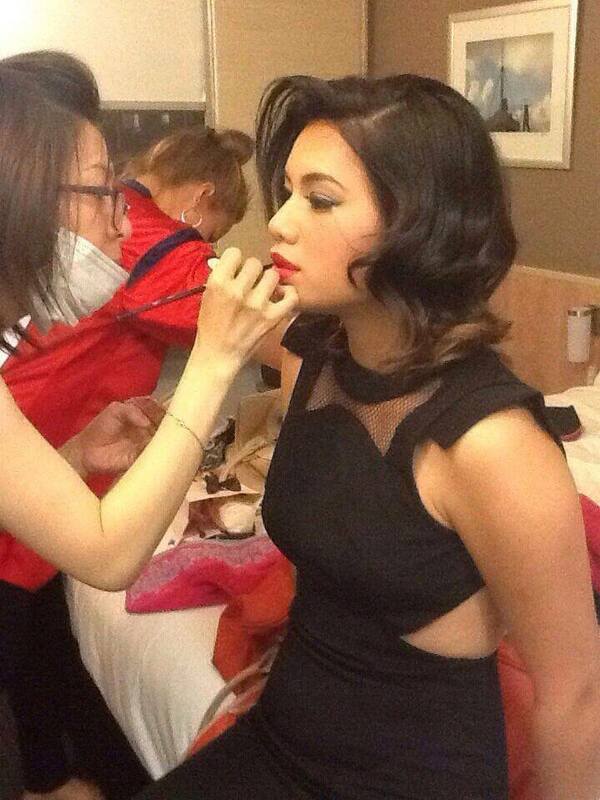 She didn’t want to look too over the top for her event hence I designed a wavy hair style for her. It’s so satisfying to see her all smiles! I thought I would like to continue with the topic from previous blog about the how the same makeup appears in a raw photo and an edited one. It’s ok to see lines and imperfections. 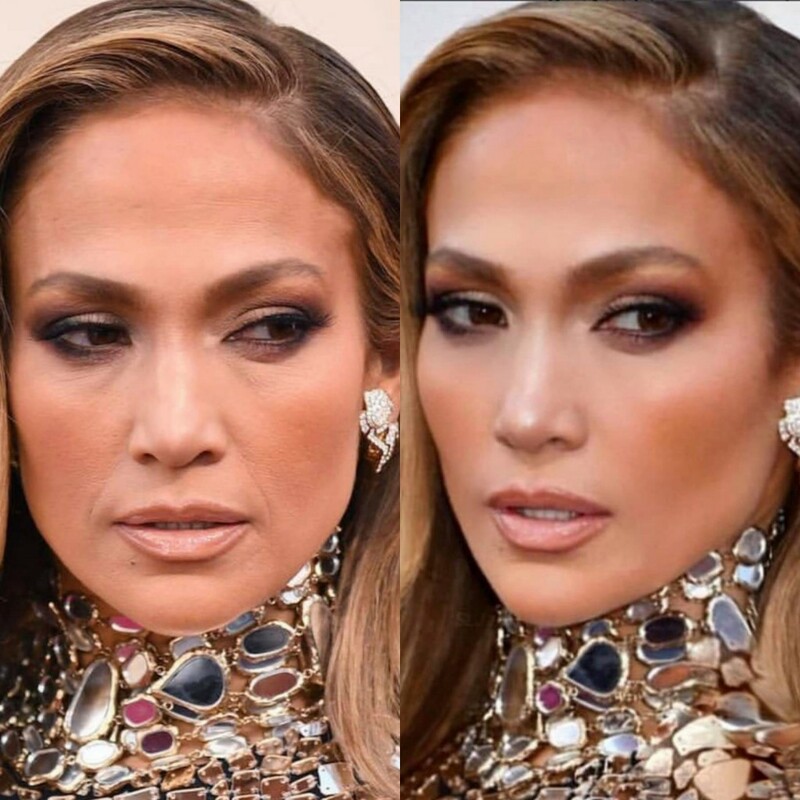 Jennifer Lopez is still looking stunning in the raw photo. Don’t you all agree? P.S. all images on H.H makeup and hair website are unedited. 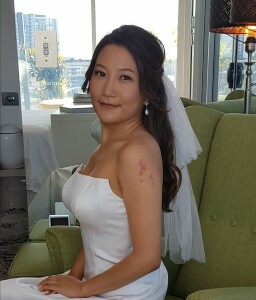 I would like to show you a picture that I took of one of the recent brides I’ve done straight with my Samsung Note8. There was absolutely no filters or facetune applied to the image. 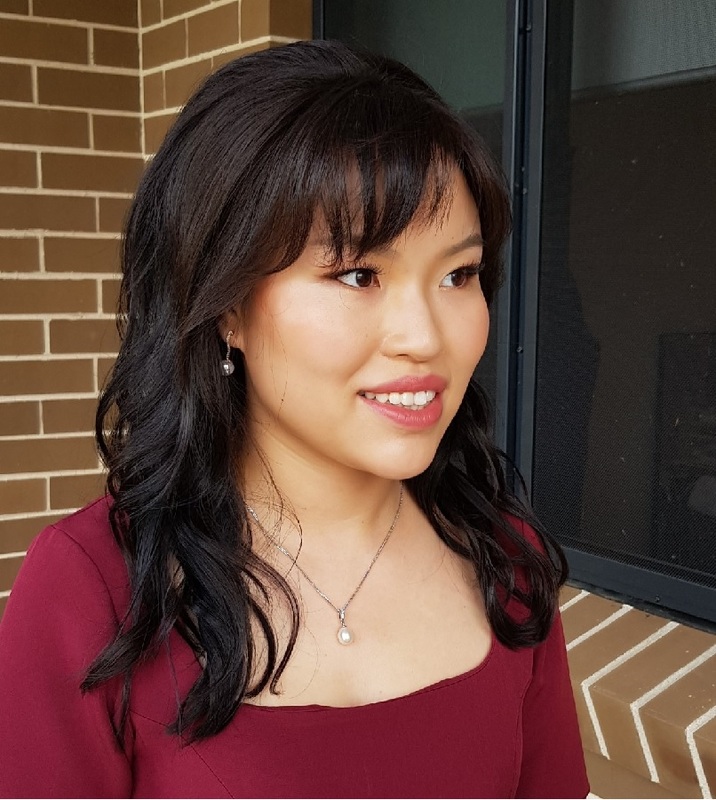 I believe this is the best way to showcase to my clients how the makeup and hair will actually turn out in the photos, without the delusion of deceiving filters nor photoshop. By comparing a raw photo vs an heavily edited inspirational photo they obtain from instagram is a good way to communicate a realistic expectation. By the way I always like to tell my clients, if you like what you see in a raw photo straight from my phone, you will LOVE even more what you see in the professional photos received from your photographer on the day. 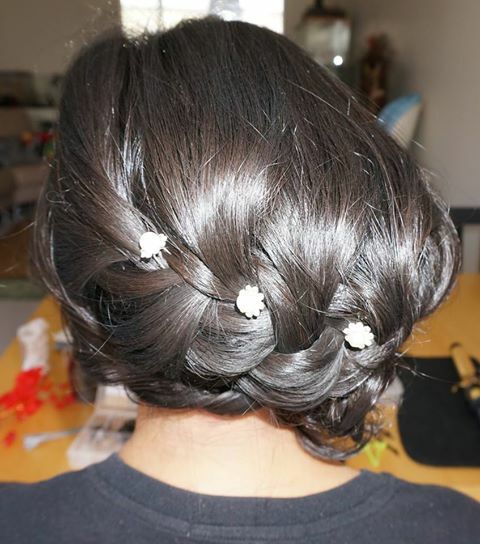 A soft messy braid adds romantic feel to a bridal hair style. It works best on light color hair but it doesn’t you can’t rock it with jet black hair. I like how the texture shows in these photos with the shine of her black hair. Her makeup freshly done in the soft morning light. She is looking so radiant! I have done hair and makeup for this sweet girl this morning. Loving her big smile! 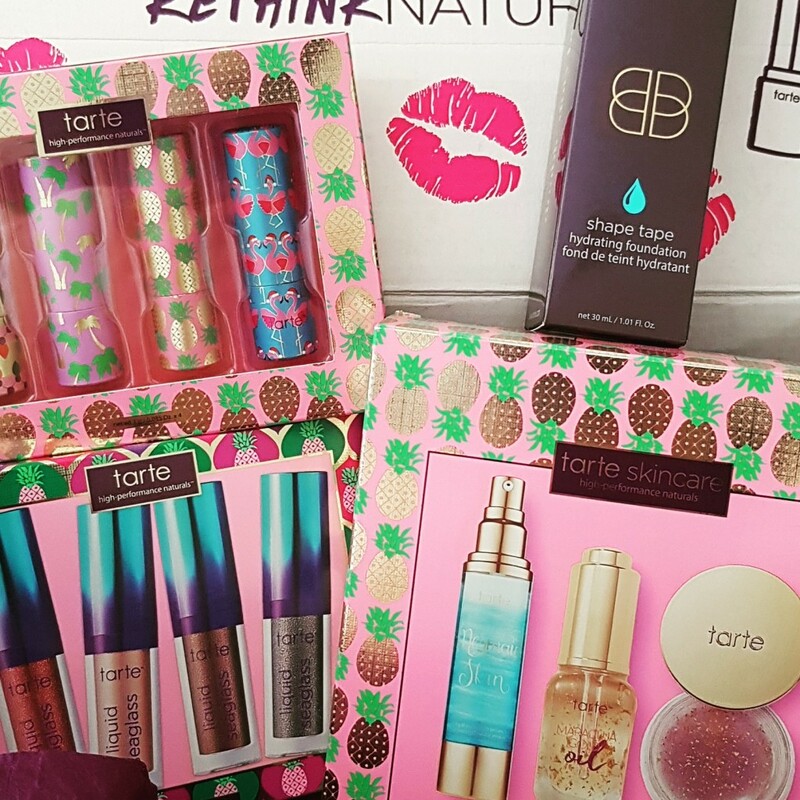 So excited to receive the latest goodies from Tarte. which hair do you like more? Trial is always the best time to try out the style that you dream about AND another style that you have never done but wanted to try. 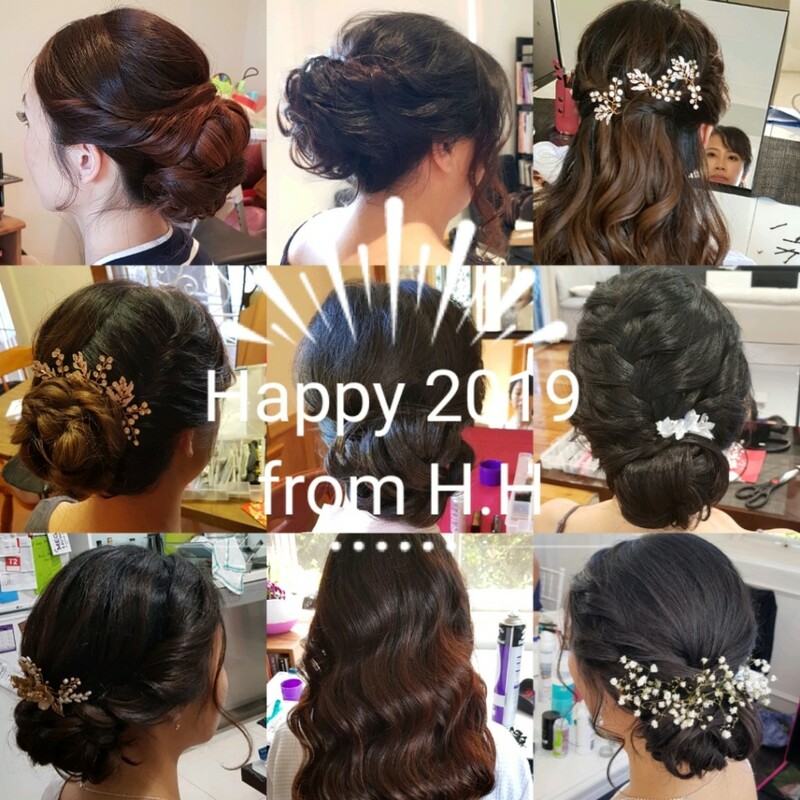 One of the questions frequently asked by an Asian bride is how to choose a hair style that suits both her traditional ‘qi pao’ or ‘Kua’ as well as her wedding dress. 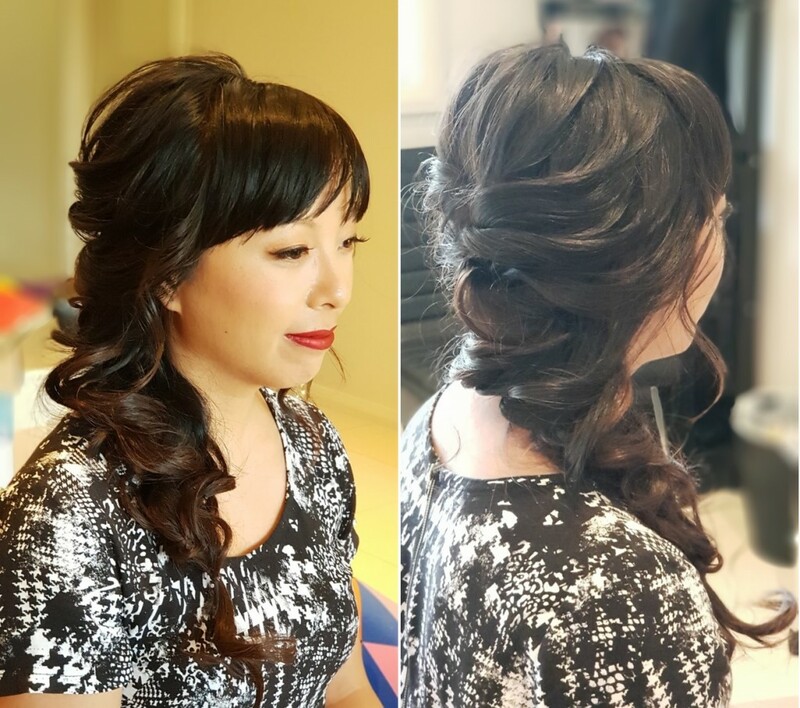 If a touch up service and change of hair service is not required then one of the tip is to choose something really simple and timeless. One of my brides feature below has light color hair so I decided to design a hairstyle that shows off a lot of her hair texture, at the same time, a higher hair bun will ensure it suits really well with her ‘Kua’ as a low bun usually rub against the high collar and would cause some level of discomfort, and in worse cases, it visually makes someone’s neck appear shorter. 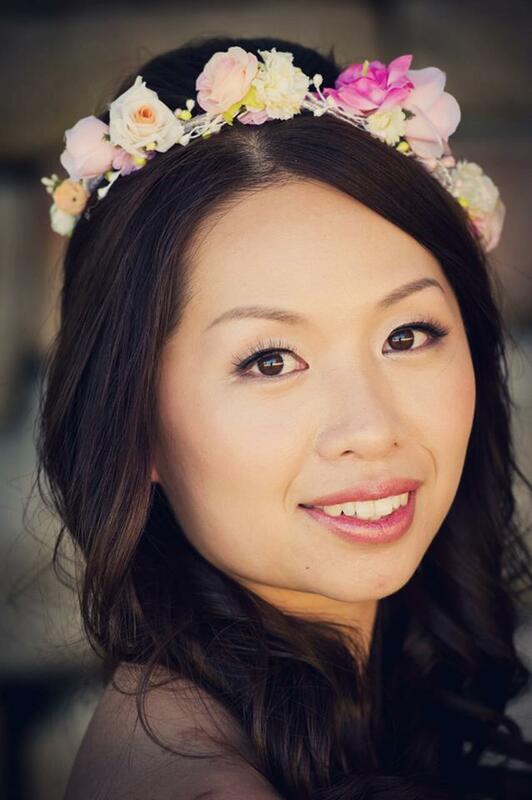 Some soft fringe around the face also create some softness and gives a really romantic feel to her outdoor garden wedding. It was great to meet this elegant lady and reproduce a look that she wanted. 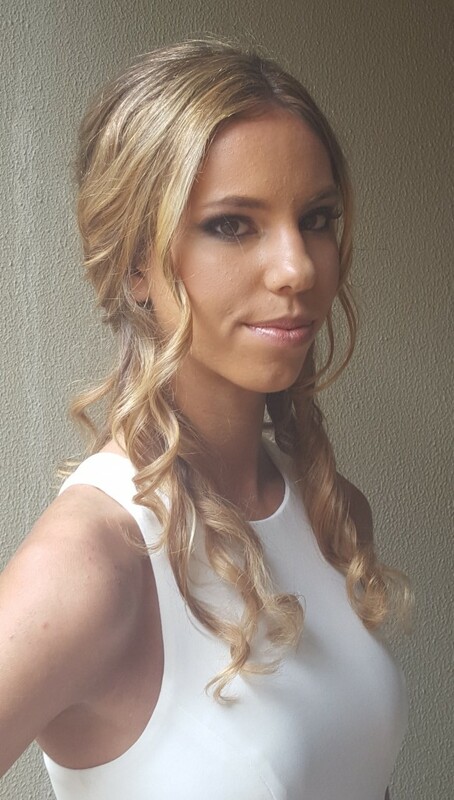 As for bridal makeup I like to focus a lot on the skin. I highly recommend all my bride to start looking after their skin and be consistent with the regime for at least 3 months prior to their weddings. Another good tip is to apply a hydration sheet mask every day 7 days a row prior to the big day. 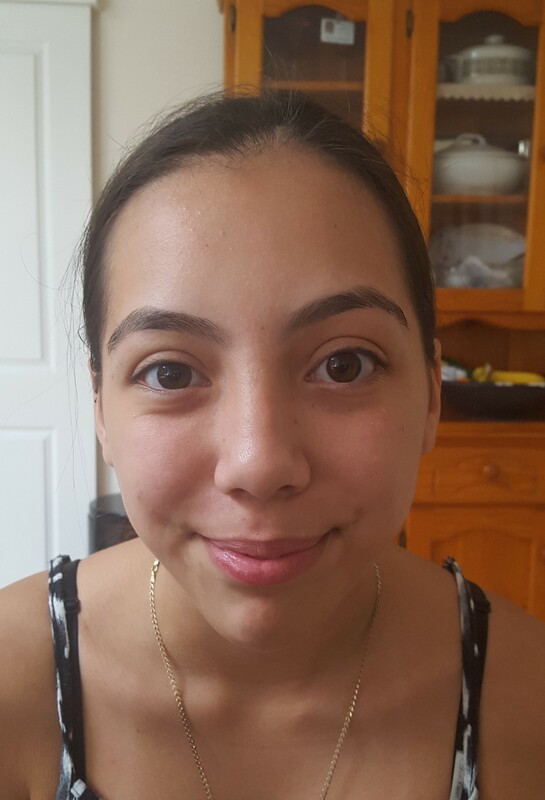 I have also used double eyelid tape her to give her a very natural crease. Throw back to the trial I did with this wonderful lady. Love the dewy look with some contouring to bring out her best features. I wish you all had a great Christmas! 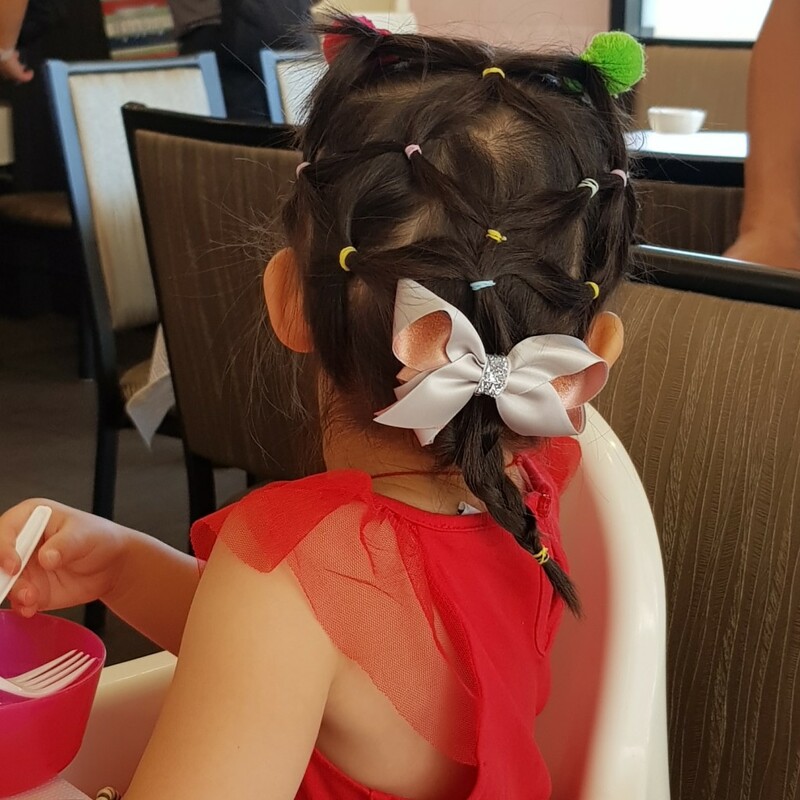 Here is a picture of Christmas hairdo I did on my little pumpkin daughter. She was so over the moon with her special look. The smile on her face is just so precious!! 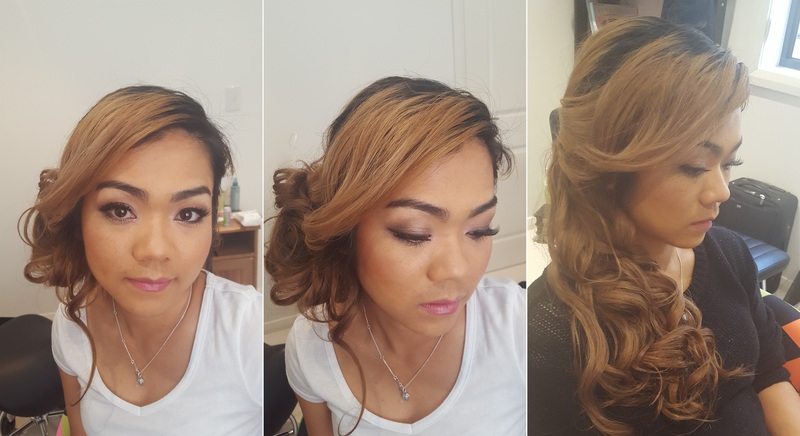 Blond hair has been cited in social media beauty inspiration photos over and over again. This is not without its reason. 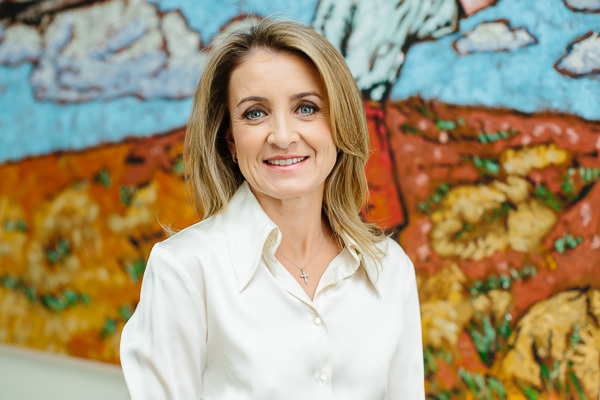 As hair textures and designs are most noticeable in lighter hair color, blond hair is most ideal for showcasing a hairdo. 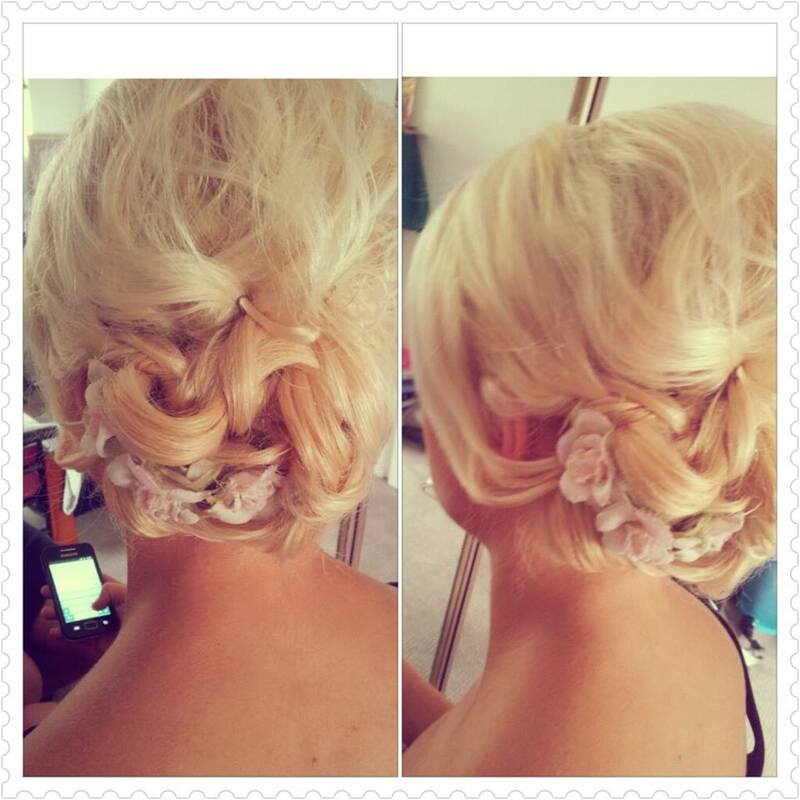 Here I have played with some texture and braids design on this stunning blond hair client. I have also applied an orange based red lippie to give her an elegant look with a modern twist. Lets appreciate how gorgeous my client is. I can’t tell you how much I like to apply makeup on mono-lids. Especially when double eye-lid tape was not specifically requested by the client. Double eyelid tape is a technique that uses medical grade sticky tape to open up the eyelid area or create a fold on the eyelids so the eyes appear lager and more opened. However, one can look quite altered from their original feature once the tape is applied. I always admire the unique beauty a pair of mono-lid brings to a girl. I also admire how some of them totally embrace their charm with confidence. 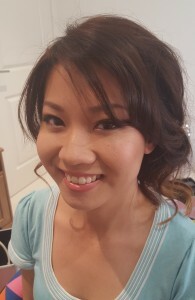 Here is one of my brides who have beautiful mono-lids and she rocks the makeup just as it is. No tape needed. 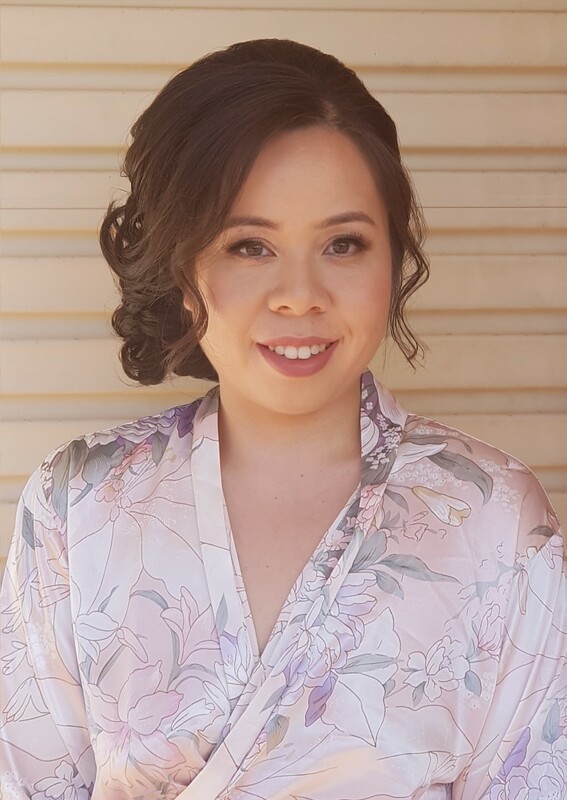 I was so honored to do makeup and hair on this beautiful lady. 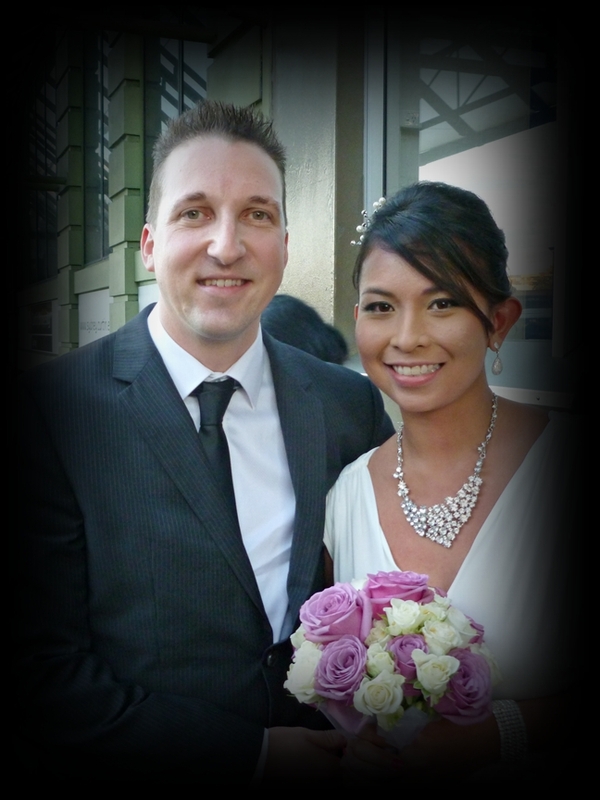 On her big day I applied a lavender hue eyeshadows to complement her gorgeous tan skin. 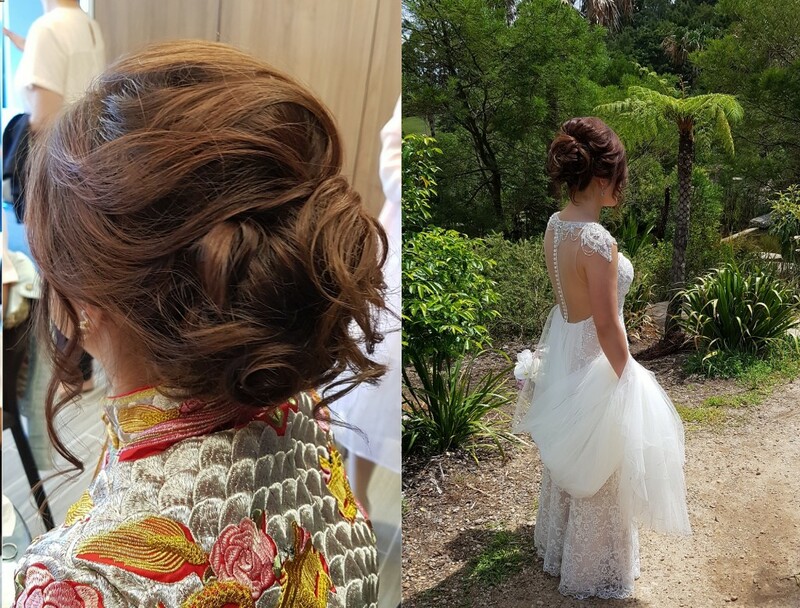 An effortless looking Boho style half up half down hairdo perfectly matches the wedding theme and brings a romantic vibe to her look. 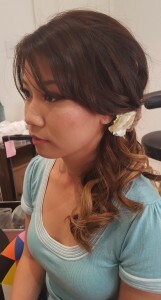 I am so honored to do hair and makeup on this gorgeous Japanese lady. We all know Japan is renowned for its cosmetics products which are superior in quality yet affordable. Japanese girls really know how to look after their baby smooth skin both from a healthy balance diet and a result driven skincare regime. Their beautiful skin becomes the perfect canvas and is further enhanced by makeup. 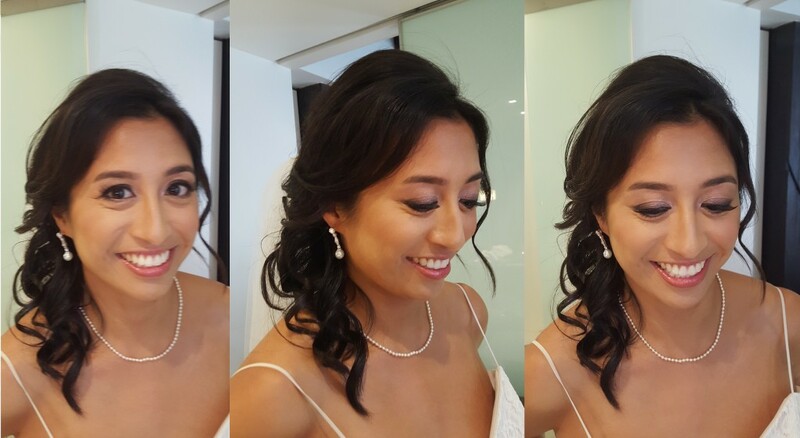 Although Japanese girls are usually no strangers when it comes to makeup, I learnt from most of my Japanese clients that Japanese brides usually prefer really natural and sheer makeup on their big days. Here with this gorgeous lady it is also no exception. 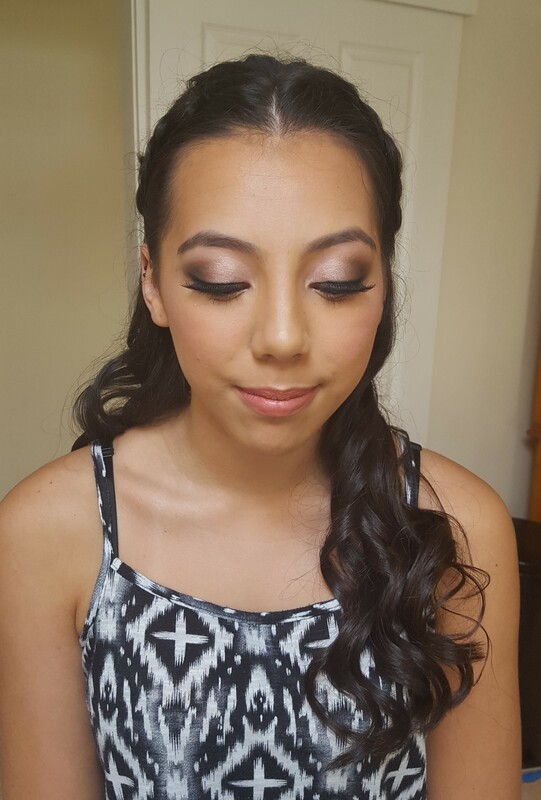 I used a very sheer foundation and keeping everything simple and fresh so her beautiful skin shows through. However some healthy glow and light contouring was added to create more dimension to her features. 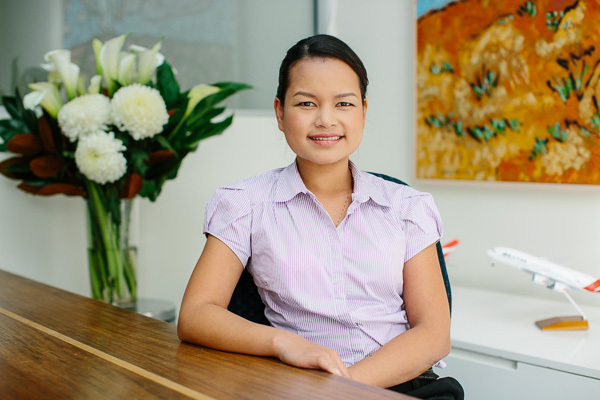 I just found some old pictures of one of my past clients and thought would like to share. 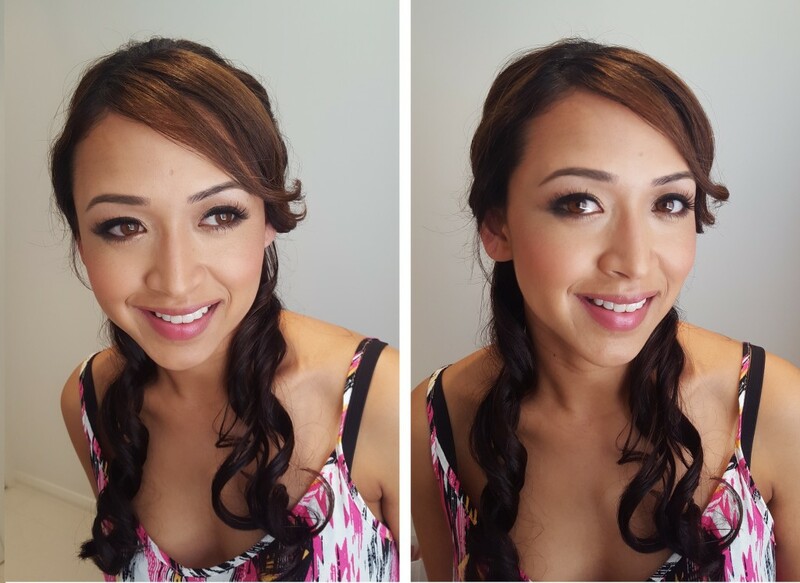 I used very minimal makeup on her pretty face and tried 2 different hairs. Really like her dazzling smile. 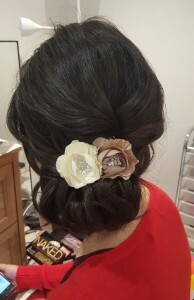 This is one of the frequently requested bridal hairdo. 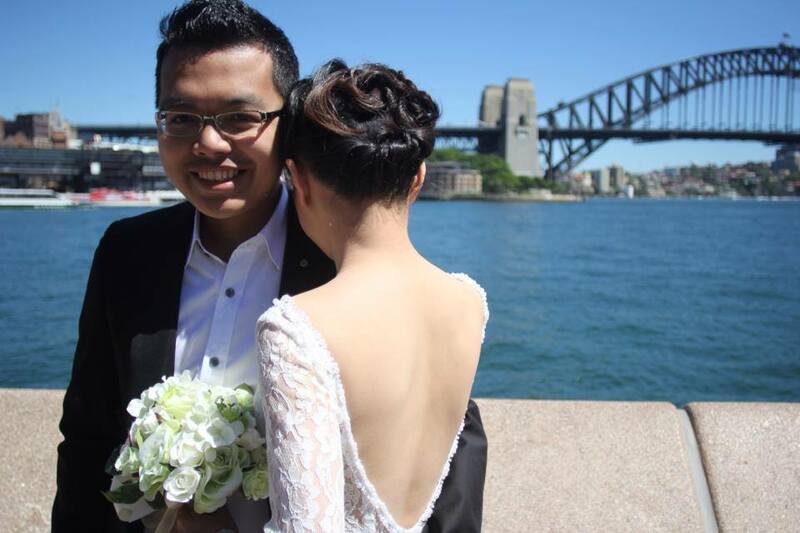 The soft textured side updo is so in demand since last year. To show more texture on this dark black hair I would usually like to play neat and show more sheen on the hair. 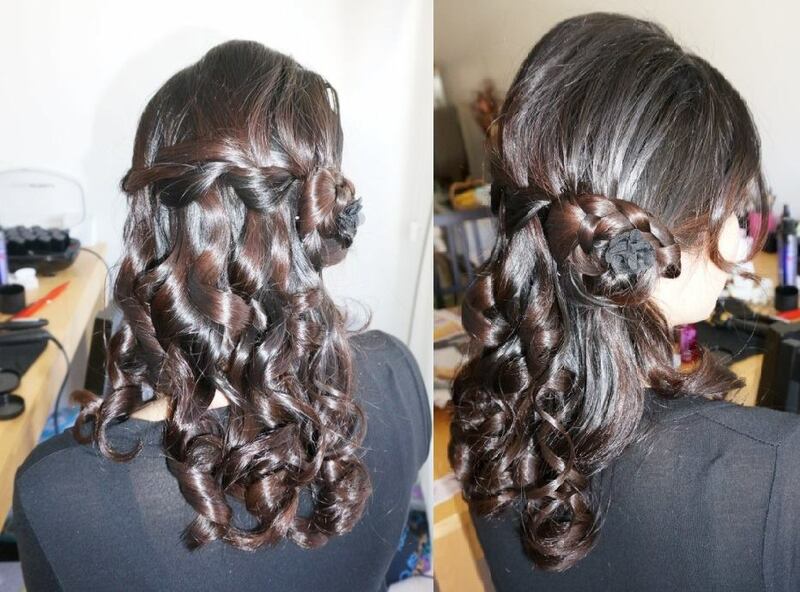 Do you like textured hairdo on dark hair? My order from Korean cosmetics Etude House has just arrived today. The packaging is so girly and cute. The Tiny Twinkle looks just too good to give away. Now I just need to resist swatching it as it’s supposed to be a gift for someone. 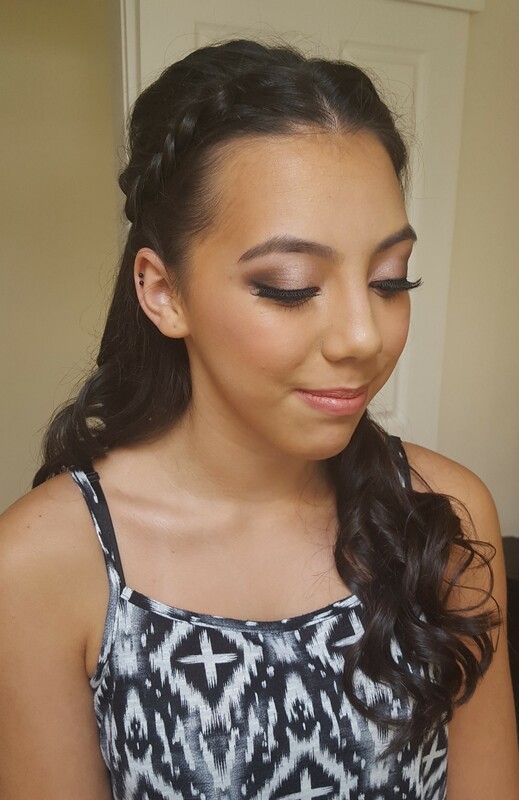 Formal hair and makeup is so fun with this lovely young lady. 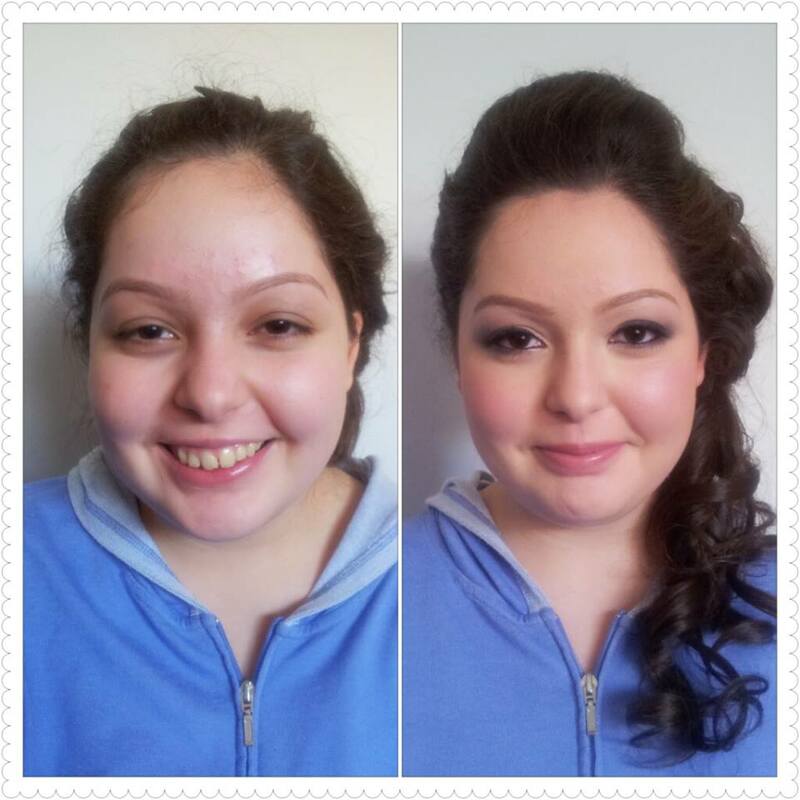 Here are the 2 looks I did on her 1 week apart on her formal events. When I first saw her, I knew I need to make this already gorgeous face more glamorous without aging her angelique features. Before photo: She is already a perfect canvas. I was looking at the pictures I took of my past brides and came across with this Stunner. How did I lost posting this gem in the past is unknown but here it is. 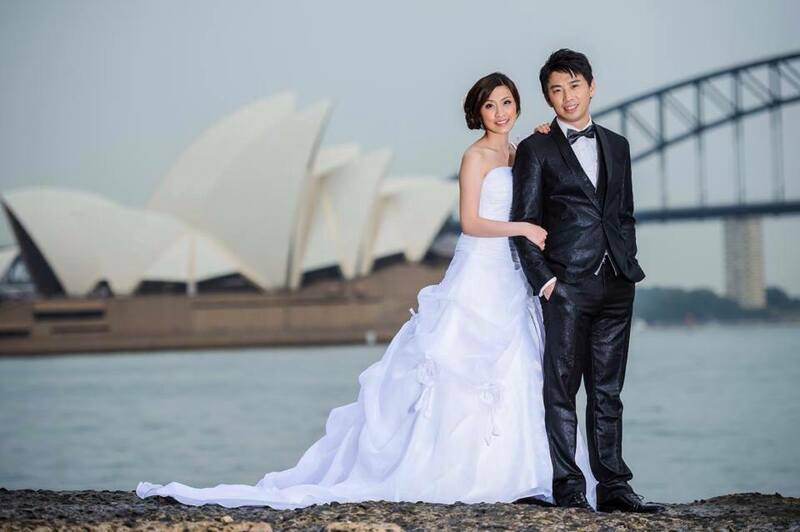 Sydney makeup artist, Makeup artists Sydney, Asian makeup artist Sydney, bridal makeup artist, bridal makeup artist Sydney, bridal hair and makeup artists Sydney, bridal hair and makeup, mobile hair and makeup, mobile makeup artist, wedding makeup artists Sydney, bridal hair Sydney, corporate makeup artist, makeup and hair Sydney, mobile makeup artists Sydney, bridal hair and makeup, bridal hair and makeup Sydney, Sydney weddings, hair and makeup Sydney, hair and makeup artist Sydney mobile, wedding hair and makeup Sydney mobile, mobile makeup artist, makeup artist, Sydney makeup artist, wedding makeup artist, wedding makeup artist Sydney, professional makeup artist, professional makeup artist Sydney, bridal hair, bridal hair Sydney, Sydney bridal hairstylist, bridal hair Sydney, wedding hair stylist Sydney. 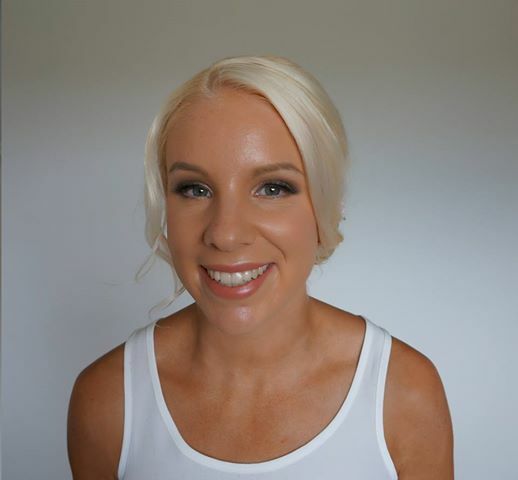 bridal hairdresser Sydney. Josephine said to me she is not a photogenic type of girl. This will prove her wrong. You are looking like one of those pretty Japanese Actress here. Ashleigh is so kool about the rain last Saturday and here is a picture of her relaxing during the morning preparation. She is truely a beautiful person inside out. Ashleigh’s bridesmaid number 2. Another pretty blonde lady. I applied bronze makeup on her to suit her tanning. Don’t you just love this gorgeous girl Laura! It’s for her 21st birthday party. I love to make her blue eyes pop. 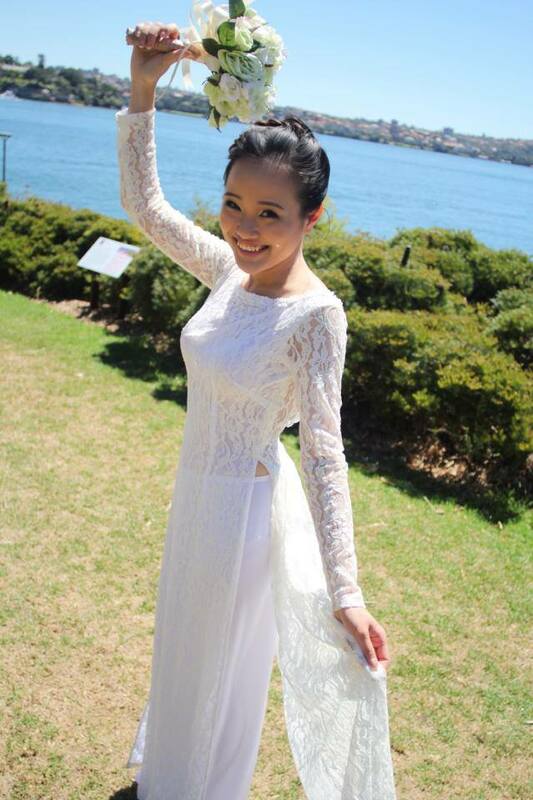 Vietnamese Ao Dai with a modern touch! 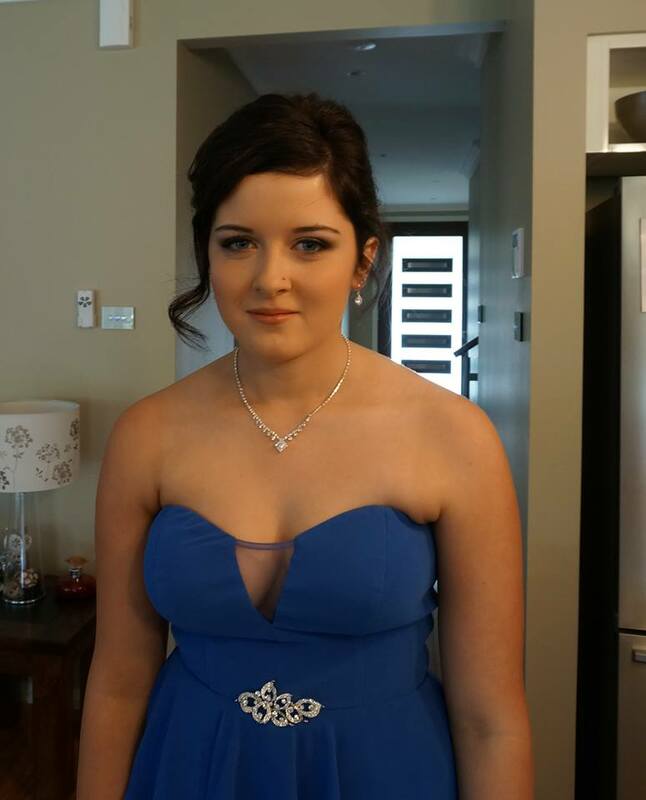 And, minute before this gorgeous girl Ali happily headed to her school formal. 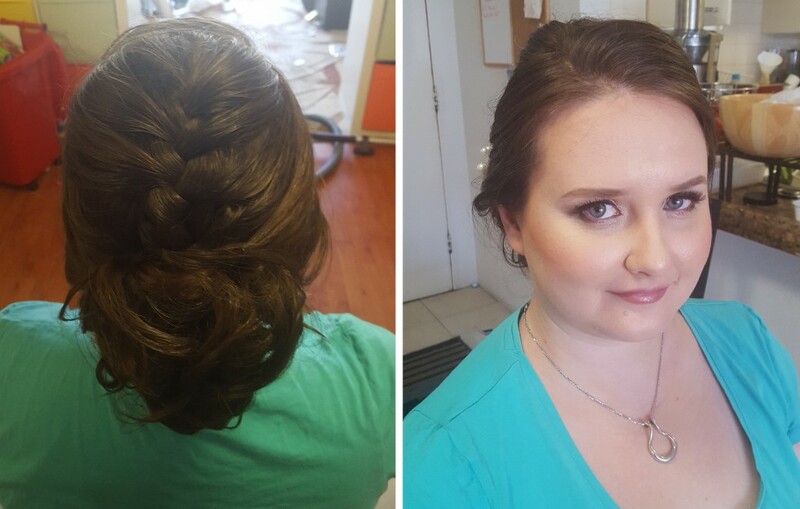 Do you like this soft Braiding upstyle? 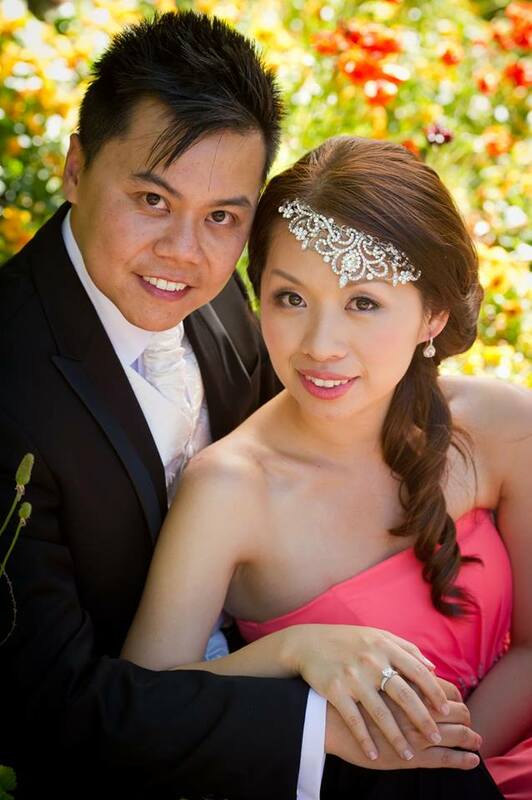 Would you like to a soft waterfall braiding hair style for a casual pre wedding shoot? 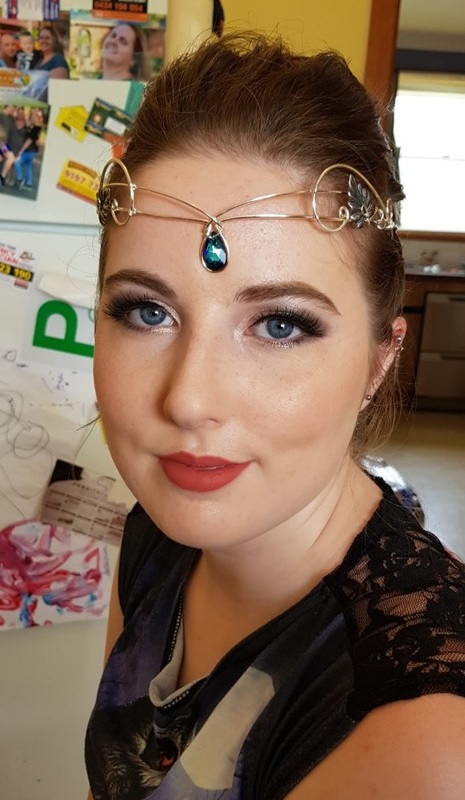 I did this gorgeous girl’s formal the other day. She is 1/4 Chinese and the rest Samoan. Thanks for send this pic of me in action Cynthia! 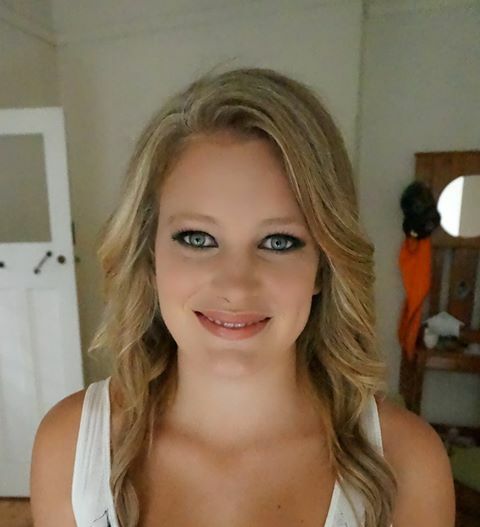 Another beautiful girl, Michigan, who I did her formal the other day. 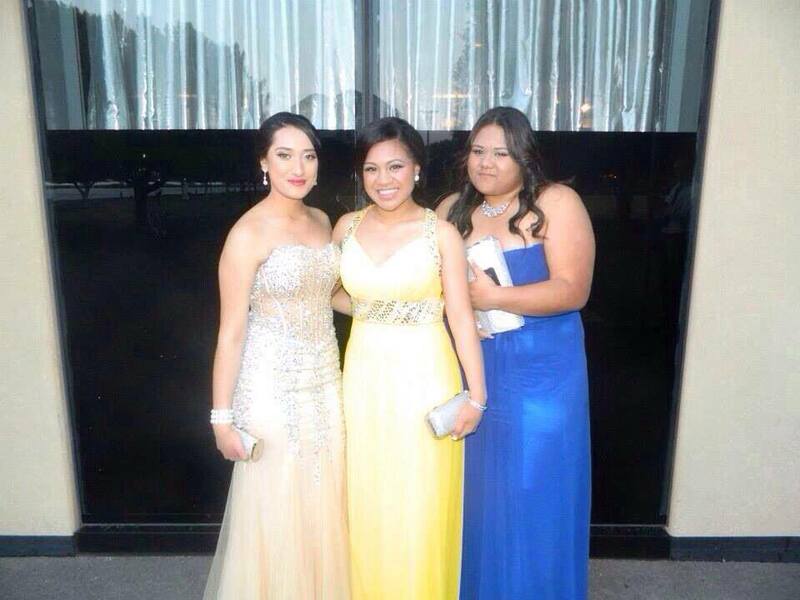 Looking stunning in the yellow blink dress. Thanks for sending through this lovely pic of yourself and your girls at the formal. 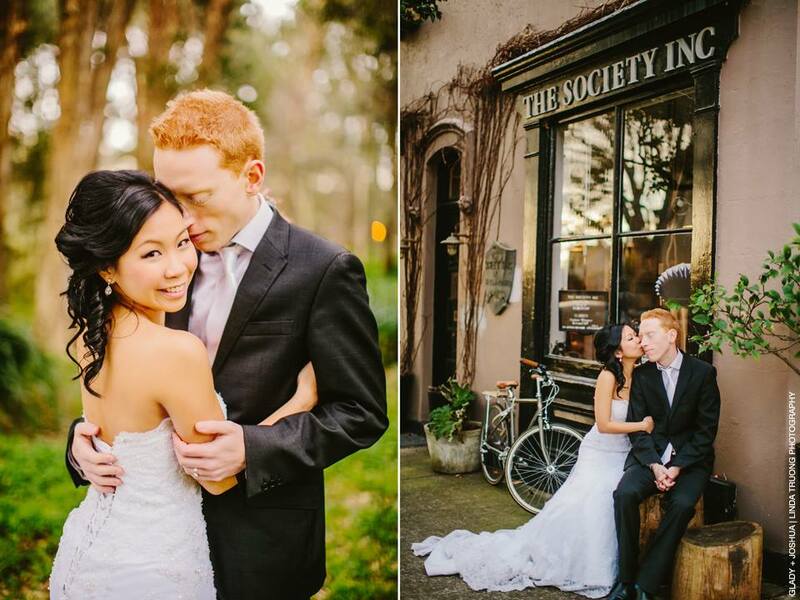 Glady + Josh – Gorgeous warm light came out towards the end of the session. Love! 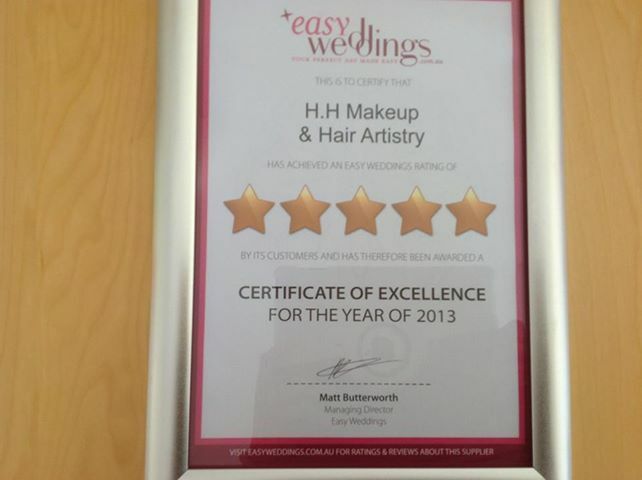 Thank you Easywedding for the award! 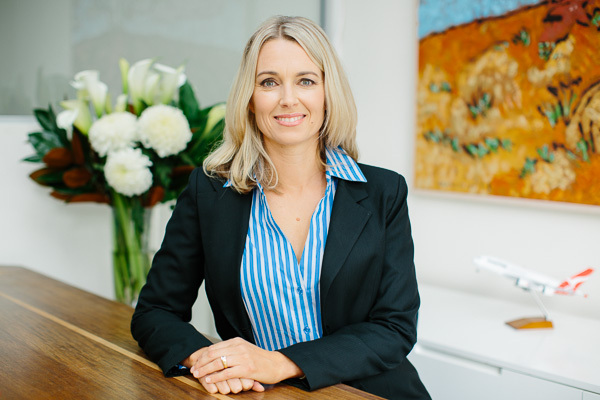 I am so honored to do makeup and hair for a beautiful mum whose daughter is the Face of Children’s Cancer Institute Australia (CCIA). They are attending a charity function tonight and I understand just how special this means to them. You must be such a proud mum seeing your little warrior representing the event on stage! Keep fighting and I wish you all the best! 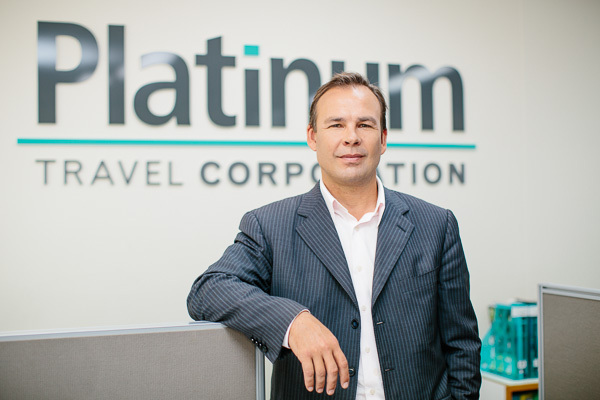 I am so excited to share some of my corporate work that was done for the Platinum Travel Corp for their advertising campaign. 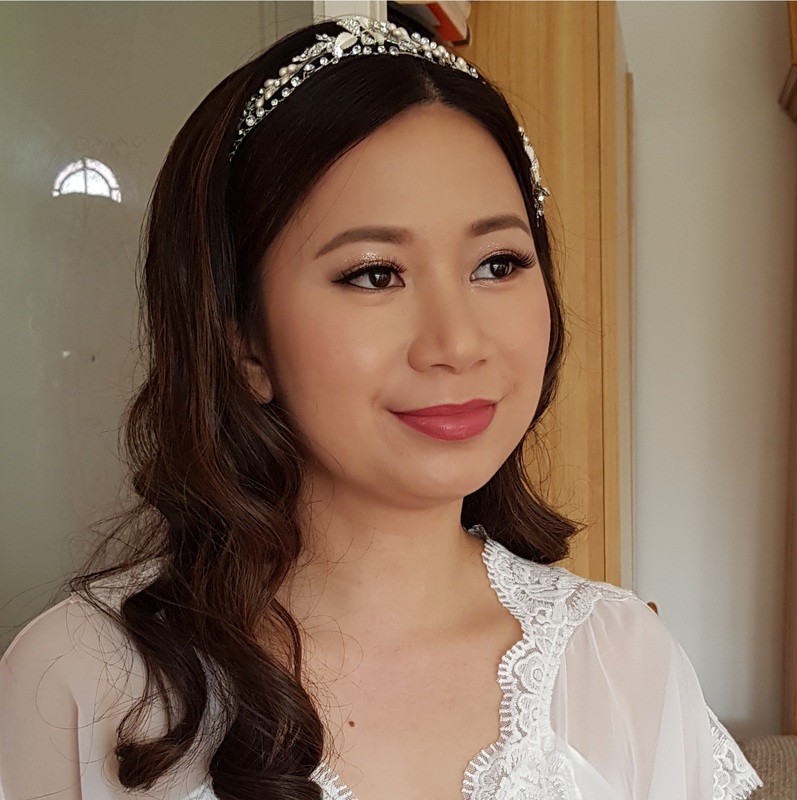 It is my pleasure to meet Yani and do makeup for her civil wedding. She has this special exotic beauty from her half Chinese half Indian heritage. 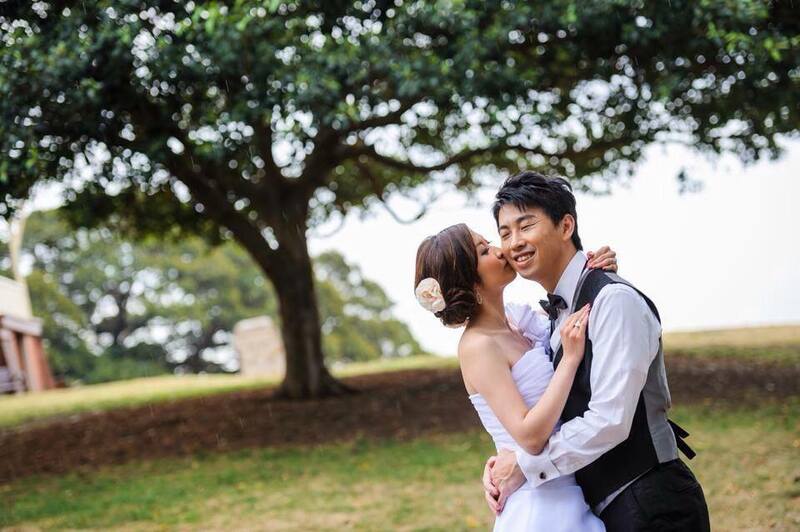 Congratulations again on your big day. You look absolutely stunning! 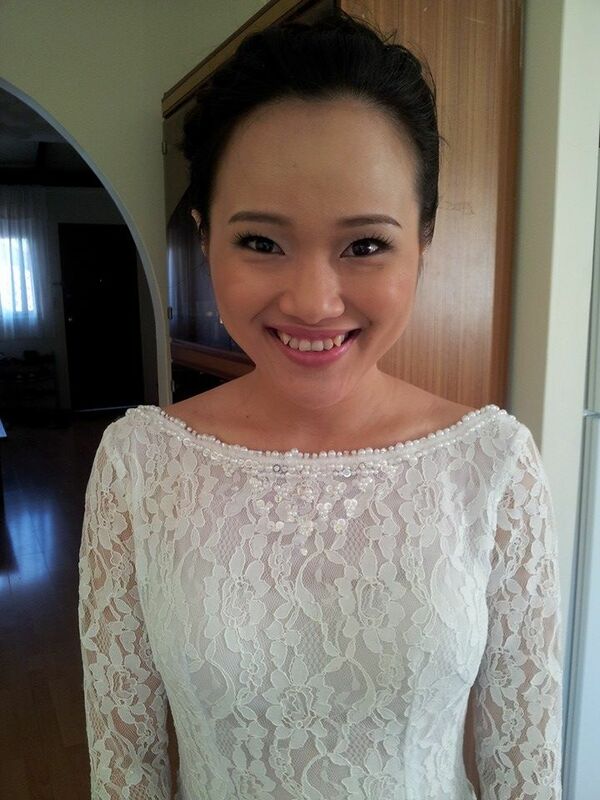 I used Shu uemura eyeshadows and DMK foundation on her.